Words and Music by James W. Dunn. Clear from the treach'rous shore. The ship is the sailor's home. Hurrah, hurrah! for the sailor bold; hurrah! for the sailor bold. The ship is the sailor's pride.-Refrain. Strong and a heart that's tough. 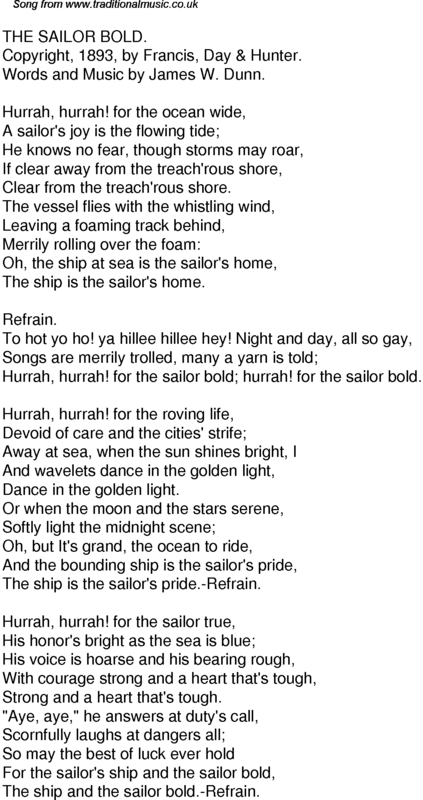 The ship and the sailor bold.-Refrain.